Well for developing a shiny Visualforce page or Image formula, sometimes you may need Icons. If you look into standard pages, Salesforce uses a very large set of Icons in the standard pages.When you open a standard Case page you can see a "Brief Case" icon at the top of page or when you open a Account you can see a "Folder" icon at the top of the page. To use these icons I generally look into the standard pages source to extract the exact URL of the icons and then reference them from Visualforce pages. Well that is really hectic. So ease the process I have included them all in Visualforce page and hosted the same. 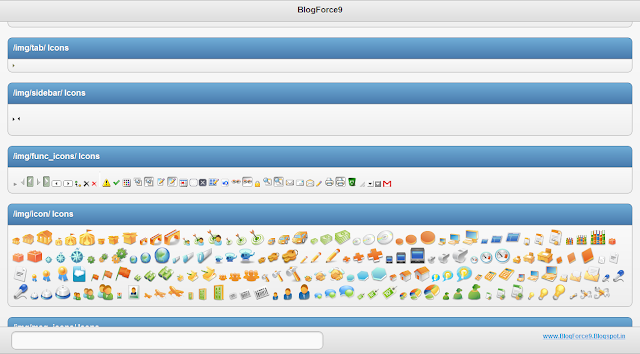 To use a icon just click on the icon and the image URL along the image tag will be populated in the footer text box.